Recruitment in the digital age has created a whole new set of challenges, expectations, and therefore opportunities. An institution's website is their most important digital property. The content on the site must differentiate, tell their unique story, and convey culture. YouVisit's platform transforms traditional content into experiential content. This new super content evokes powerful emotions moving people to the next stage of their journey in the recruitment process. Immersive 360 photos and videos enables students to digitally explore. Interactive content encourages two-way participation. Multiple integrated calls-to-actions increases conversions. Powerful reporting and analytics fuel program optimization. YouVisit offers more than just innovative technology. We're domain experts who are customer focused. Our client success team provides white glove service. 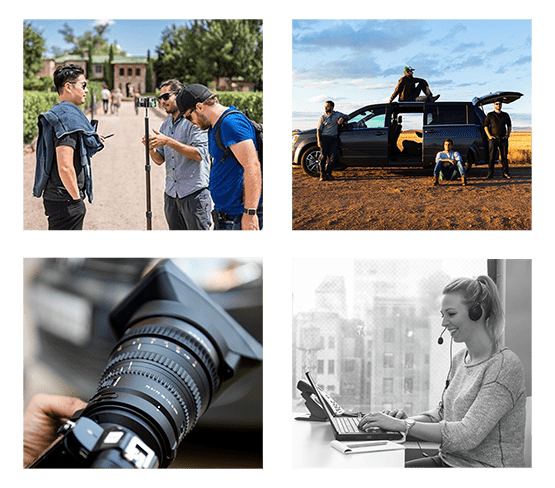 Our production teams are expert content creators and there to help if you need more content.